How do you open a sales call? Do you strive to establish credibility? Thought leadership? Make a positive first impression? 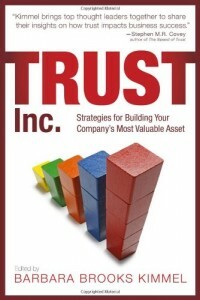 Establish trust rapidly? There are lots of answers to that question, and I’m going to suggest most of them are sub-optimal. And, I’m going to suggest, there is one single Best Practice way to do it. It’s called Bring a Risky Gift—BARG for short. First, let’s be clear. This question is more important than it used to be – not less important. Many sales authors are fond of noting that the sales process is becoming far more composed of pre-meeting interactions – collecting data from websites, emails, search engines and the like. They then draw the wrong conclusion – that the actual sales meeting itself is declining in importance. The opposite is true. As long as complex B2B buying decisions are made by human beings – that is, protein-based entities who are the products of eons of emotional and social evolution – we require some kind of personal interaction before making a major decision. Let’s call that the sales meeting. The fact that less total time is taken up by face to face meetings these days simply means that those meetings’ relative importance in the entire sales process has increased, not decreased. Let’s say you and your spouse or significant other are invited to dinner at the home of a business acquaintance. It’s your first time meeting them in a primarily social context. What must you do? You know the answer to this one. On the way there, you stop at the liquor store and pick up a nice bottle of wine. It’s what you do. The culture of gift giving in a thousand forms (including simple gestures of respect) is deeply embedded in every culture, including modern western business culture. By doing so, you fulfill a minor cultural obligation. The host thanks you, and the evening begins on a fractionally higher note than before you walked in with the gift. But notice – this is more obligation than generous gesture. The downside of not bringing a bottle of wine is probably greater then the credit you get for doing so. You’re supposed to do this. But imagine this. On the way to the liquor store, you say to your SO, “I think they went to northern Italy last year. What if we bought them a really nice bottle of Barolo, with an Italian looking gift card?“ and maybe you spend a few dollars more than you might have otherwise. What happens when you present the gift? Notice – there is a risk here! It’s possible they are alcoholics. Or perhaps it was Spain they went to, not Italy. But here’s the magic: you actually get more credit for having taken that risk – even if you were wrong – than you get for buying the conventional, safe Napa cabernet. The point is: yes, you get credit for bringing any wine, but not much more than for fulfilling an obligation. You get serious extra credit for having been willing to take a risk – even if you’re wrong! It shows you are willing to be vulnerable in service to the client. 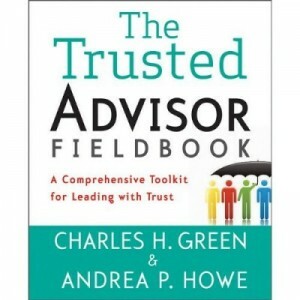 The act of showing vulnerability and taking a risk first means that you are playing the role of the trustor – the one who initiates a trust relationship – rather than waiting to passively play the lower-risk role of merely being trustworthy. Now let’s see how that metaphor plays out in opening up a Sales conversation. First, notice that you rarely get an opening sales conversation without already having established serious credibility. B2B buyers don’t waste their time, they’ve done their homework on you, and you have established enough credibility to get this meeting. Do not waste their time by launching into a demonstration of how smart you are. It is annoying, and they’ve already acknowledged that point. Continuing to do so is all about you, not them. Worse, it’s rude. Any sales author who tells you you should open a sales conversation by establishing your credibility is oblivious to the serious emotional undercurrents happening in these moments. That includes authors who suggest you should open with a breathtaking demonstration of how you are able to challenge their thinking. If that’s all you lead with, it is not only rude, it is insulting and arrogant. Insights are great, but they must come well-packaged in the emotional wrapper of respect and etiquette. That’s where BARG comes in. Thanks for having us here. It is apparent to us, having looked through a lot of available information about you, that you are truly expert in [insert something] [insert something more]. It would be arrogant of us to claim that we know more about these areas than you do. However— we do know a thing or two about similar situations, and one thought arose as we looked over your circumstance. It seems to us – please correct me if I’m wrong – that [X] might be a critical issue for you. Is that the case? And if so, could you tell us more about how X plays out in your business? Two things: first, note that X had better be a meaningful, thoughtful insight. And of course they will be happy to tell you about Y: because you have demonstrated vulnerability, you are showing sincere interest in what they have to say, you are focusing on them not on you, and you are demonstrating the willingness to learn from them. At that point, the polite thing for the client to do is to answer your question of them. If you think these rules of social propriety are vague and imprecise, think about how you respond when someone extends a handshake to you: how often do you spurn them and turn away with a cold shoulder? Pretty much never. You can make serious book on the hard-wired social responses of human beings in these situations – we are extremely predictable. Insight by itself is worse than useless if not wrapped in the package of social propriety. BARG is that wrapper. It triggers hard-wired responses of etiquette, respect and other-focus in an ever-ascending spiral of reciprocating exchanges between two trusting and trustworthy parties. To close the loop: should you open a Sales conversation with credibility? With a first impression? With insight? With rapid trust creation? The answer to all of those questions is Yes. What’s critical is how you do it. And how you do it is BARG—Bring a Risky Gift.